VANCOUVER, British Columbia--(BUSINESS WIRE)-- By 2030, nearly 22 million new cancer cases are expected, and the burden on the healthcare system to quickly and accurately analyze the tissue samples to diagnose them and develop lifesaving drugs is immense. To help address the growing number of samples from cancer, as well as other diseases, Fimmic today launches Aiforia™ Cloud, bringing together its established deep learning artificial intelligence (AI) image analysis cloud solution with new self-service and automatized pathology image analysis capabilities. 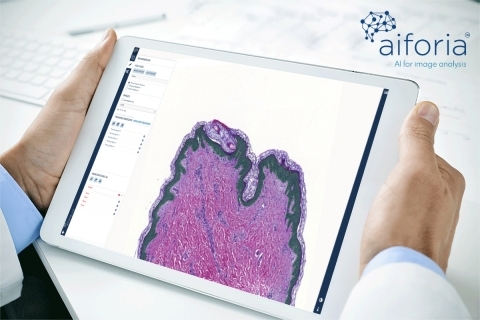 Formerly known as WebMicroscope, Aiforia Cloud is already used by more than 6,000 pathologists, researchers and pharmaceutical R&D teams to manage and share digital slide collections. 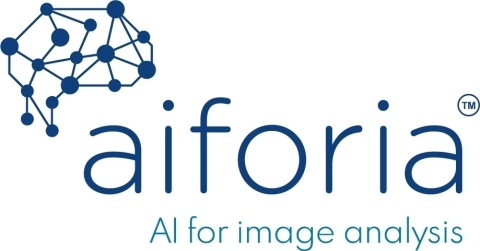 The platform’s new Aiforia Create tools bring unique self-service capabilities by allowing users to generate their own deep learning algorithms by training convolutional neural networks (CNN) to learn, detect and quantify specific features of interest in tissue images. With the platform’s ability to mimic the human observer in understanding the context in tissue, it can automatically and accurately perform laborious image analysis tasks in a fraction of the time, giving users significant time back in their day for high value work, such as analyzing more complex or rare samples. Aiforia’s use of CNNs means deep learning algorithms can be easily developed in just days or less, compared to the months needed for conventional machine vision approaches. In just a few simple steps, a user with no prior programming or algorithm design experience can use Aiforia Cloud. Along with the algorithms being easy to create, the entire platform itself is simple, easily accessible and affordable with Aiforia Cloud’s SaaS model. Users can deploy and use the platform through a browser. Fimmic will be demonstrating Aiforia Cloud at the USCAP Annual Meeting in Vancouver from March 18-21, 2018. Visit booth #833 to learn more. Additionally, Fimmic will host a webinar on April 10 at 11 a.m. EDT (4 p.m. GMT, 5 p.m. CEST, 8 a.m. PDT) with a live demonstration and Q&A sessions. Register for the webinar here. Fimmic, founded in 2013, is a spin-off company from the Finnish Institute for Molecular Medicine at the University of Helsinki. Fimmic’s unique Aiforia™ Cloud brings together Deep Learning -based Image Analysis and high-performance Cloud Computing. The SaaS solution enables fast, accurate and affordable analysis support for every pathologist and medical researcher in tissue-based image analytics through a zero friction cloud deployment and intuitive online user interface. Aiforia is currently sold for research use. Please visit www.Aiforia.com for more information.